Depression is an ugly, difficult thing. It plays tricks on your mind and makes you believe you shouldn’t be here. Such was the case of Guido, who admits she suffered from bipolar and severe clinical depression for years. Guido is the founder of Speranza Animal Rescue. She believes in second chances, love, patience, and acceptance. She is passionate about taking in those animals deemed a “lost cause” as due to her own struggles with mental illness she can relate. Growing up in Mechanicsburg, Guido and her sister were raised around avid horse-riders. She trained horses and her sister gave riding lessons. Eventually, her family built their own 17.5 acre horse farm. Along the way, her compassion for unwanted animals and the joy brought, never wavered. “Speranza means ‘hope’ in Italian,” explains Guido. 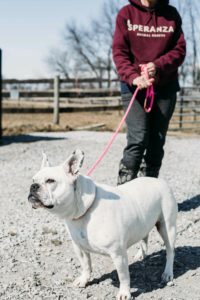 “We are an all-breed rescue, rehabilitation center and haven for the animals saved, and each animal is promised as much time as they need,” she adds. “We will not turn any dogs away. We are always full. If one dog leaves, we literally get another. “We work with local and state police and the SPCA, in addition to other organizations around the country to take in abused, neglected and/or stray dogs and other animals,” says Guido. Speranza is also unique in that it provides long-term care for its residents, whether they’re dogs, cats, pigs or horses. “We never euthanize an animal because of a lack of space. We have several dogs that are not currently adoptable, but are in rehabilitation. They can be in rehab for medical or behavioral issues and each case requires a different approach and plan,” Guido explains. Volunteers at Speranza describe Guido as a “dog whisperer” of sorts as she has been known to sit in rain, snow or through the dead of night to convince a stray dog to trust her. Guido also tries to help the most helpless animals—those who are handicapped—the ones who nobody else cares for. Over the years, Speranza has saved animals that required surgery and were on a kill shelter’s list to euthanize. 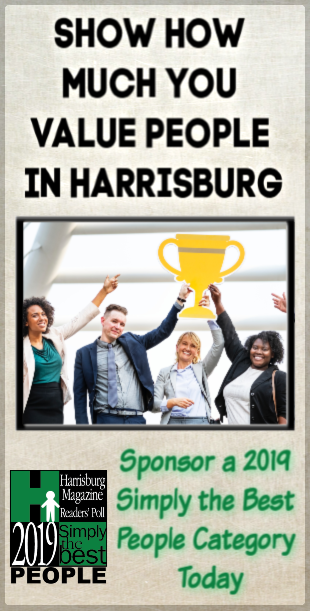 She has enlisted the aid of Dr. Ivan Pryor, DVM, owner and head veterinarian at Dillsburg Veterinary Center, who volunteers to treat the animals that need help and religiously tends to the animals at Speranza on a regular basis. Not only are some dogs permanent residents, Guido says Speranza has other animals that will be on the rescue farm for the duration of their natural lives. These include two alpacas, three donkeys, three goats, eleven pigs, one sheep, two miniature horses, four cows and four regular sized horses. Margie Booze, a reading specialist in the Dallastown School District, volunteers at Speranza whenever she can. Like most of the volunteers she knows the names of the animal residents and proudly tells visitors about the animals’ personal stories and case histories. “Erkle, the sheep, was very sick when he arrived at the rescue,” says Booze. “The cows, Meatball, Mr. Bean, Noodles, and T-Bone were super small when we got them. And Cadbury, a tiny little piglet when he was abandoned along a road and brought to the farm,” she adds. 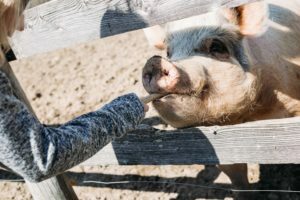 “And Juliette is now a beautiful pig who has the best ears.” She reiterates the fact that these farm animals are part of the sanctuary and will be here for life. “I’m here five days a week, and during the summer when I’m on vacation from teaching, I volunteer six days. If I’m off, I’m here,” she says. Charles Darwin said, “The love for all living creatures is the noblest attribute of man.” Guido and her love of animals foster this statement each and every day as she and her team of volunteers tend to the residents at Speranza. 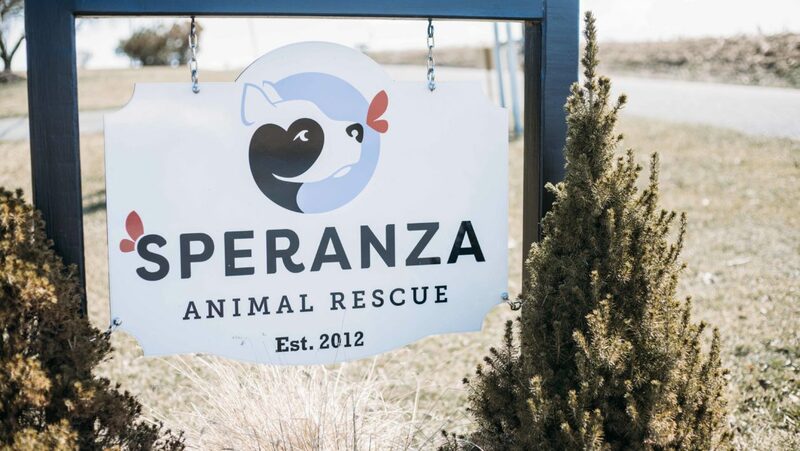 You can learn about Speranza’s ongoing efforts to rescue, rehabilitate, and reintroduce animals suffering from abuse, abandonment, neglect or catastrophic disaster, discover volunteering opportunities and how to adopt or foster at www.speranzarescue.org. Most importantly, you’ll find things you can do right now to help Speranza make a life-changing difference to animals in need.